Put simply, investors should never risk all of their resources in one single idea, venture or asset. Likewise, it’s fundamental that investors diversify their investments across different types of assets and securities. Ideally, diversification lowers risk in a portfolio while still enabling returns high enough to achieve an investor's financial goals. For instance, a portfolio consisting of just one stock is far too risky, no matter how strong the bullish argument for that stock may be. Simultaneously, investors who solely include less risky investment classes within their portfolio, such as a 30-year U.S. Treasury bond, these type of investors will ultimately face the risk of not achieving returns high enough to reach their goals or even maintain their buying power in the face of inflation. The principal aim of diversification is to avoid each extreme. Diversification allows investors to achieve a sufficient degree of returns while reducing volatility within the portfolio, thus minimising the possibility of suffering from a permanent loss of capital. The most practical way of accomplishing this is through the implementation of asset allocation. Asset allocation refers to the practice of dividing investment money into different asset classes such as stocks, bonds, real estate and cash that will ultimately act independently of each other. 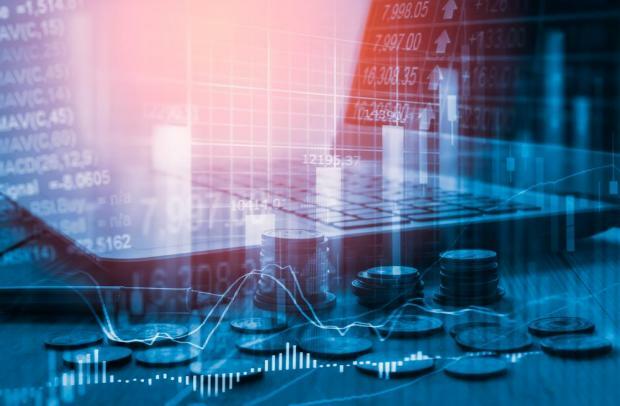 Taking into consideration the current degree of uncertainty circulating within international financial markets, asset allocation nowadays has become vital within an investment portfolio. Along the years numerous studies have demonstrated that asset allocation is a larger contributor to a portfolio's overall returns rather than the individual stock selection. In other words, a portfolio's asset composition plays a large role in sustaining and enhancing long-term returns. In line with a study conducted by a Nobel Prize-winning economist, Harry Markowitz, an investment’s risk and return characteristics should not be viewed alone, but should be evaluated by how the particular investment will affect the overall portfolio’s risk and return. The key takeaway from Markowitz’s idea, otherwise known as ‘The Modern Portfolio Theory’, stipulates that assets should not be weighed by their risk-reward proposition individually but, rather, by how each asset fits into an overall portfolio. The optimal way to allocate assets within an investment portfolio is a personal choice which is highly dependent upon factors such as age, risk tolerance, and financial goals. For instance, investors with a shorter-term goal - such as paying for a child’s education - would take on less risk in comparison to a young investor who has just started saving with the intention of building an investment portfolio. The investment policy and portfolio asset allocation of an individual investor are unique. They are principally based on both the current and future investor’s needs while simultaneously taking into consideration the ability to remain in the market throughout adverse market conditions. As the needs and goals of an investor change, the respective asset allocation will need to be adjusted accordingly. Monitoring and adjusting play a crucial role in asset allocation. In other words, there is no perfect asset allocation that suits all investors at once. In contrast, there is only a perfect asset allocation designed to address the financial situation of one particular investor. Apart from being personal, asset allocation is also dynamic. It changes over time as your financial goals and circumstances develop and evolve.